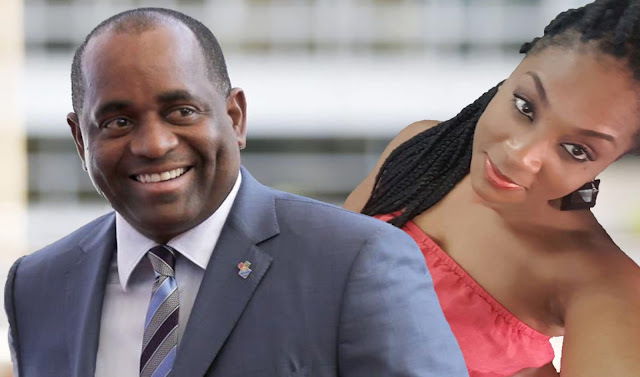 During the 2018 – 2019 Budget address the Prime Minister of Dominica, Roosevelt Skerrit quoted “Madam Speaker for fiscal year 2018-2019, non-tax revenue is estimated at $428 million, or 54% - this comes primarily from the CBI Program.” (Ministry of Finance Budget Address 2018 -2019). Fast forward to March 2019, the official State Gazette Reports 3,967 passports were sold between August and December 2018. At US $100,000 per pop and with 50% of the passport sales going to the passport sales agent a reasonable estimate shows that between August and December of 2018 the people of Dominica should have seen roughly US$400,000,000 or EC$1,000,000,000EC (400 million US or 1 Billion EC. By averaging the sales for the remaining 3 quarters of 2018 we can safely estimate that another US $1.2 Billion US or EC $3 billion were made from the sale of our passports. We say all this to remind Dominicans that when cronies of the Dominica Labor Party are walking around offering money for votes and loyalty it is important to keep in mind that all of the the bribe money belong to we the people and not that of Skerrit , Kapitolin or Shakira Lochart . Skerrit can no longer lie about getting his bribe money from friendly governments and diplomatic passport sales are under tight scrutiny. It is alleged that after it was announced that a popular and promising young man from the Village of Penville maybe the UWP candidate for the Vielle Case /Penville constituency, that DLP shysters Floyd Kapitolin and tight pants Austelle Lockhart were both deployed to the Village of Penville to dole out cash to the people and the promise of more to come. The Trillion Dollar question is -“Have Roosevelt Skerrit, Floyd Kapitolin or Austell Lockhart seen the Penville Health Center? We had the chance to visit the village of Penville and after having witness the neglect and derelict condition of the Penville Health Center we realize that Roosevelt Skerrit and his Cronies are not just about politicking but are truly unsociable ,ruthless and “Maduroesque” in behavior. The above photo shows the current condition of the Penville Health Center. It is widely known and seen that DLP mercenaries are actively using state resources in all manner to push the Dominica Labor Party agenda. We see how much state resources were utilized to cover and protect the disgraceful Rayburn Blackmoore after the Baby Sahra revelations yet the Canfield Fire station remains in deplorable conditions. See the attached photo and go take a look as Tony Astaphan will say the picture was doctored. 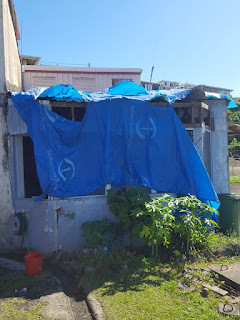 Finally we must again appeal to the conscience of those in the Diaspora who are willing to accept bribe money and plane tickets to come vote for these brigands of the Dominica Skerrit Party – take a look at the Penville Health Center, the Canefield Fire Station , the many other government buildings and the many citizens who are still under tarpaulins. It would be a travesty for Dominicans in the diaspora to at this point in Dominica’s recovery and struggles to accept from Skerrit and his goons monies stolen from the people of Dominica.